Nashville's warm summers and mild winters provide excellent conditions for a rich and diverse wildlife which we carefully preserve and protect. However, there is also a number of critters that try to move into our homes and can cause significant damage to structures or spread dangerous diseases. When that happens, Pure Guard pest control specialists are standing by to keep your property safe and pest-free. Spiders, ants, cockroaches, fleas, ticks, and rodents are among some of the most common household pests in Nashville. 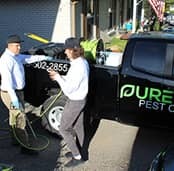 At Pure Guard, we select environmentally friendly pest control products that effectively solve your pest problems while keeping your family safe and healthy. 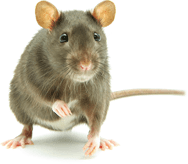 Our specialists are well trained and experienced in dealing with a wide spectrum of pest problems that go far beyond the most common varieties. We provide thorough evaluations and develop customized comprehensive solutions for each individual property. The effectiveness of our methods and the safety of your family always remain our primary focus. It is not a secret that a pest infestation can cost any business a great deal. That is the reason Pure Guard keeps a vigilant watch over many of Nashville's business properties. We provide an immediate emergency response to the infestation alerts. With an extensive arsenal of pest control products and methods, we determine the fastest and most effective way to deal with the issue. One the disaster is averted, we look to the future. We work with our clients to identify potential pest problems before the infestations occur. Our experts develop a comprehensive pest prevention plan that considers the property's location, surroundings, and seasonal changes. 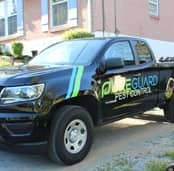 Pure Guard is keeping a tireless watch to make sure your property remains pest-free year-round.